Tallers Oberts Poblenou is reborn. Having cast off the shackles of Catalan design association A-FAD (who continue organizing Tallers Oberts in Sarrià, Gràcia, Poble Sec and Barri Gòtic), Poblenou Crea! carries the torch with its mission to drive artistic creation in the district. Started in 1996, TOP once saw over a hundred artist studios and creative spaces open their doors for a week of workshops and other activities. 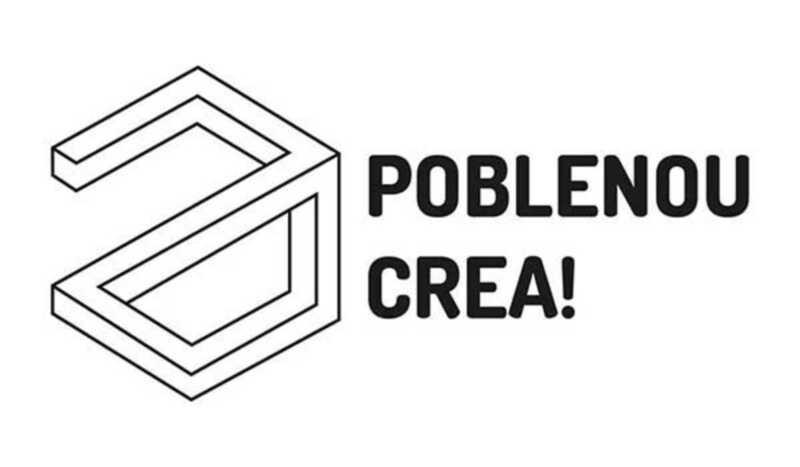 While reduced in scope to 36 participating spaces, Poblenou Crea! extends over nearly two weeks with an eclectic agenda – from jazz concerts to live calligraphy to video projections – taking place at leading cultural spaces like Hangar, La Escocesa, La Plataforma, Nauart, Niu and Nyam Nyam. Don’t miss the official opening on June 6th from 12pm at Can Saladrigas or the open doors sessions (with bike tours available) on June 13th and 14th. It is a ripe opportunity to get to know the creative hub that now occupies the warehouses of the city’s industrial past.